Gyasi Zardes is an American footballer who has represented the national soccer team in numerous international fixtures. Check out this biography to know about his childhood, family life, achievements and fun facts about him. Gyasi Zardes is a promising American footballer who has represented the national soccer team in numerous international fixtures and presently plays for LA Galaxy, a major American soccer club. Zardes’ career took off while in college when he was selected as a squad member of the LA Galaxy Academy U-18’s team in US Soccer Development Academy. Thereafter, he made it to the Galaxy’s Under-20’s team, representing the squad in two successive seasons of the United Soccer League Super-20. Gyasi next headed to California State University, playing for CSU Bakersfield Roadrunners college soccer team for three straight years. He did not play a single game in his first year with Roadrunners but went out in the field in his sophomore year, debuting against Real Salt Lake. He scored 18 goals overall in 20 fixtures in that season, hugely contributing towards Bakersfield Roadrunners’ qualification for the NCAA (National Collegiate Athletic Association) 1st Division soccer campaign—a first for the college team. 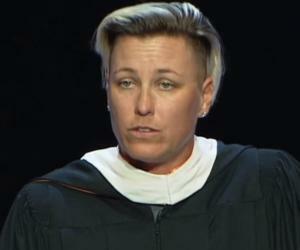 His college level achievements merited him a nomination for the MAC Hermann Trophy. He was awarded the Mountain Pacific Sports Federation Player Trophy for assisting CSU Roadrunners to qualify in NCAA Division 1 Tournament. Head coach for the US Men’s National Team Jurgen Klinsmann personally favored Gyasi’s entry into the national squad. Zardes was also part of the team in every Copa America Centenario game in 2016. Gyasi Zardes was born on 2nd September 1991 in Hawthorne City in the southwestern Los Angeles County in California to Linda Zardes and Glenn Zardes. Spending his early years in Hawthorne, he gradually became aware of the pitfalls infesting his neighborhood, including drug addiction and sporadic gang wars. 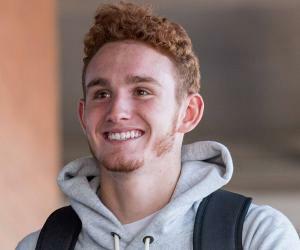 He recalls getting a lot of support from his parents, especially his father, and his grandparents that instilled self-confidence in him as he took to playing soccer when he was only four. Gyasi has three elder brothers and the fact that all of them went on to play professional soccer inspired him to take up the sport as a child. He was already representing local and regional soccer clubs when he was just nine years old, and excelled in the midfield. Zardes’s soccer career took off when he was picked up for LA Galaxy’s Under-18 squad—a professional football club competing in ‘Major League Soccer’ as a ‘Western Conference’ member. Gyasi Zardes was a member of the LA Galaxy Academy’s Under-18 squad, playing for the USSDA (United States Soccer Development Authority) 2008-09 and 2009-10 seasons. He was also part of the LA Galaxy’s Under-20s team that participated in the United Soccer League Super-20 meet in 2009. Gyasi was redshirted for the 2009-10 season while representing California State University’s Bakersfield Roadrunners but took the field in the next season, scoring five goals and setting up seven assists. He was in his element in his sophomore year wherein he scored 18 goals in 20 matches. Zardes was instrumental in Roadrunners’ making the grade NCAA’s 1st division campaign. Bakersfield had never before qualified for the 1st division tournament of National Collegiate Athletic Association, and it was Zardes’s 18 goals that enabled the Roadrunners to break the jinx. He was the 4th top scorer in 1st division college soccer in 2011, and was chosen as ‘Mountain Pacific Sports Federation Player of the Year’ and also was in contention for the MAC Hermann Trophy. In the 2011-12 season, Zardes scored a total of 15 times in 17 matches, and was credited with nine assists. His scintillating performance contributed towards Bakersfield maintaining a record winning streak for four consecutive seasons. 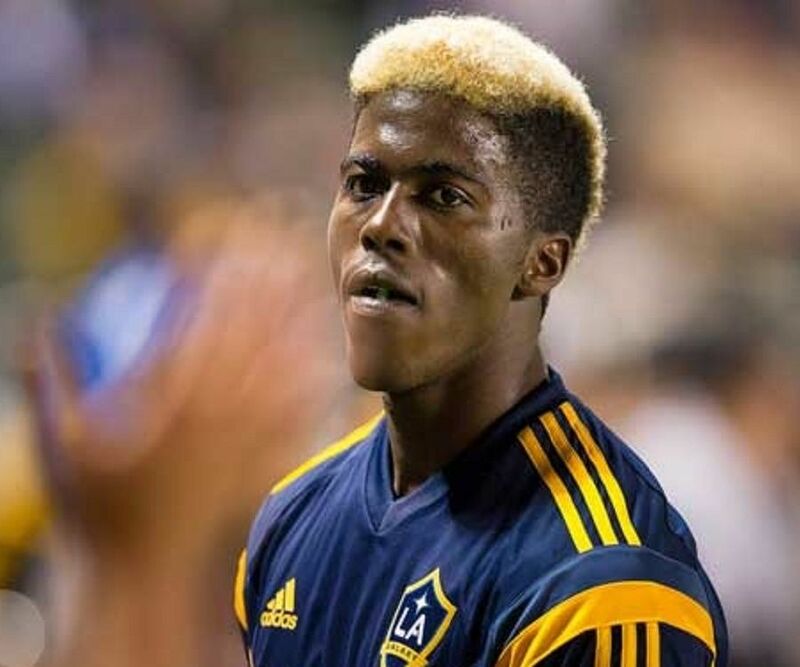 LA Galaxy contracted Gyasi as a player through the ‘Homegrown Player’ regulation which stipulates that a club can select a few players from their own development academies. He debuted as a substitute player for LA Galaxy Reserves in April 2013 against Seattle Sounders Reserves, and for LA Galaxy A-team against Real Salt Lake, later on in the same month. Gyasi scored the only goal, his first for LA Galaxy, in a match against Vancouver Whitecaps which his team lost 1-3 and also netted the winning goal against Chivas USA (1-0) in 2013. He scored a brace on two occasions in 2014: first against New England Revolution and then against Colorado Rapids, winning both the matches with a score of 5-1 and 6-0 respectively. His braces helped him to become the most prolific Homegrown Player in MLS history, breaking Diego Fagundez’s record. Zardes scored a goal in a ‘Major League Soccer’ finale as a Homegrown Player in 2014 on 7th December against New England Revolution. Robbie Keane, the Galaxy captain scored the winning goal, making LA Galaxy the only team to lift the MLS cup five times. With sixteen goals to his credit, Gyasi became the sixth top scorer for the 2014 Season, closely following Robbie Keane who netted 19 goals. Following a successful home season in 2013-14, netting a total of 19 goals he was chosen as a member of the USMNT (United States Men’s National Team) in 2015 in January. He debuted internationally on 28th January 2015 when he substituted for Clint Dempsey in the fixture against Chile in the second half. He played in the national team for the first time in an exhibition game against Panama, helping set up the 2nd goal scored by Clint Dempsey, thereby letting US win the fixture by 2-0. Gyasi scored his first international goal for USMNT in 2015 on 5th June in a warm up match against Netherlands. He was also part of the national team during the 2015 CONCACAF Gold Cup meet where he aided his country in clearing the elimination stages by helping Dempsey net the winning goal. About one and half month later, he netted his debut international goal in a quarter-final (against Cuba) which the USMNT won by 6 goals to nil. Gyasi Zardes is married to Madison Goodvin, an athlete, whom he had befriended while playing for CSU Bakersfield Roadrunners during his college years. The couple has a boy in May 2014 and named him Gyan Asher Zardes. 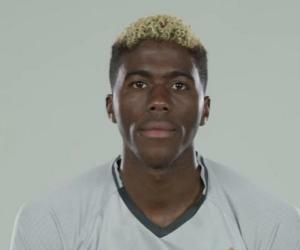 Gyasi Zardes, in order to make sure that he is distinguishable to his grandparents when he is playing, dyes his Mohawk-styled top a luminous yellow.